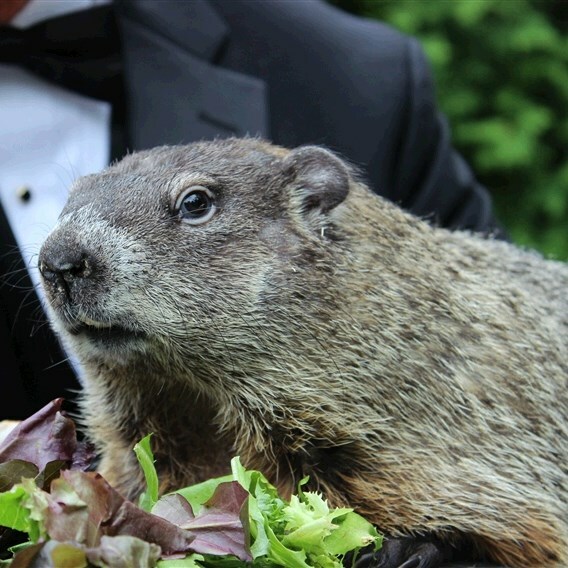 Meet Punxsutawney Phil at Gobblers' Knob and see the Phantastic Phils all through the town. 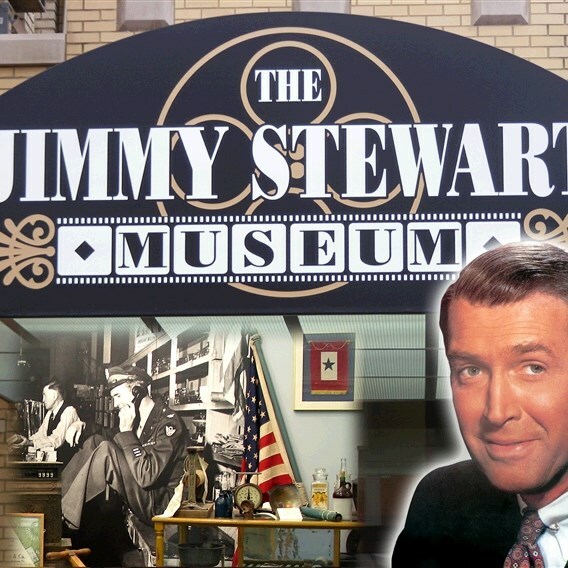 Visit the Jimmy Stewart Museum. Guaranteed Departure! Sit back and enjoy your journey to Punxsutawney and Indiana, PA. Arrive at Gobblers’ Knob where, each Groundhog Day, Punxsutawney Phil does his "important" weather prediction. Meet Punxsutawney Phil and his handler. 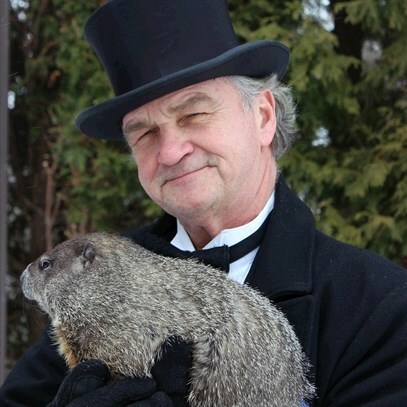 Fun Fact: There has been only one Punxsutawney Phil. Phil gets his longevity from drinking "groundhog punch" (a secret recipe). One sip, which is administered every summer at the Groundhog Picnic, gives him seven more years of life. Punxsutawney Phil is at least 131 years old! During your touring of Punxsutawney you will come across Phantastic Phils. Appearing throughout the town are colorful, whimsical 6-foot tall fiberglass groundhogs, otherwise know as Phantastic Phils! One by one these larger-than-life versions of Punxsutawney Phil will appear throughout the community - each an individual work of art created by artists from across the state. Enjoy a delicious luncheon buffet followed by a live presentation by a local gentleman doing an excerpt from one of Jimmy Stewart’s most beloved films, AS JIMMY! 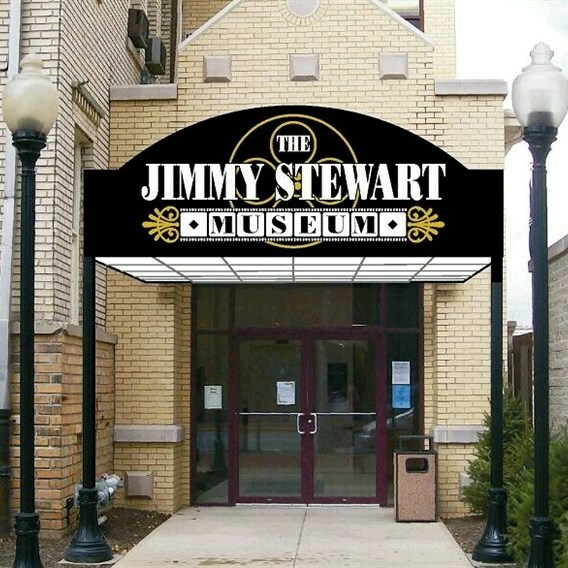 On a driving tour of Indiana you see the home where Jimmy grew up (cannot tour the home), the Jimmy Statue, church the family attended, and a bit of the campus of Indiana University of PA.
Before we depart for home, enjoy a self-guided tour of the Jimmy Stewart Museum featuring the life of the beloved actor and American. Throughout the museum you will see glimpses of his young life, acting career, military service, and family. Includes: Transportation, touring, admissions per itinerary, lunch, entertainment, step-on guides, taxes and gratuities on included items. One-Day - Cancellation and Refund Policy: 30 days prior to departure - Full refund less any non-refundable charges (i.e. theater tickets, service fees, etc.) unless notification of difference is noted on the tour description. Walking Code: 2 - This tour requires that you can climb stairs and walk reasonable distances, possibly over uneven ground and walking surfaces.